At SETS, we take the routine out of workout routines with our Hybrid Training program. Our workouts are constantly changing, and after one of our classes, you’ll never look at exercise the same. Not only will we work your body in creative ways that keep you engaged and excited about improving your fitness, we’ll do it in a supportive, welcoming atmosphere where people from all backgrounds and fitness levels feel accepted and inspired. You’ll never know what to expect from our Hybrid Training program…except results, and fun! Contact our gyms in Ocean County or Monmouth County, N.J., today to start a free trial membership. Our interval-based workout sessions combine all elements of the fitness world, from cardio to strength training, and utilize a variety of functional movements and fun equipment to constantly keep your body guessing – and keep you motivated. Hybrid training classes at SETS integrate High Intensity Interval Training (HIIT) methodology in a bootcamp-style group session, but intensity always varies, based on your personal pace. No matter what background you’re coming from or what your personal goals are, you’ll find your place in our Hybrid Training Program – and you’ll see results. Never a dull moment. You might get tired, but you will never get bored. Our ever-changing, bootcamp-style classes keep your body moving and your mind engaged. Broadens your horizons. In each session, you’ll use different equipment, from kettlebells to rowers, steppers and bikes, to TRX and bands, and you’ll perform different movements, from burpees to shuttle sprints and much more. New challenges are around the corner every day! A full-body challenge. Your muscles will constantly be stimulated as you run through HIIT-style intervals of cardio and strength training that spike your heart rate and ignite your metabolism. Our timed workout format allows you to measure your progress as you get fitter and faster. Everyone belongs. The beauty of our program is not only in its variety but it’s “scalability” for every body type and fitness level. Whether you’re a serious athlete or a first-time exerciser, we modify movements and weights to meet your needs. You’ll feel challenged, but also competent. We encourage members to go at their pace, focused on their goals, and once you meet a goal, set a new one! Results! Plain and simple, our members see changes in their bodies and their fitness levels. Regardless of starting point, you will make progress with our Hybrid Training program. WHY CHOOSE SETS FOR HYBRID TRAINING? SETS members know they can get a workout anywhere in Ocean County, Monmouth County or or Middlesex County, N.J.. The reason they come here, to get #SETSBUILT, is our community. Like a team training to compete together in a big game, our fitness program is an athletic adventure wrapped in a bonding experience. 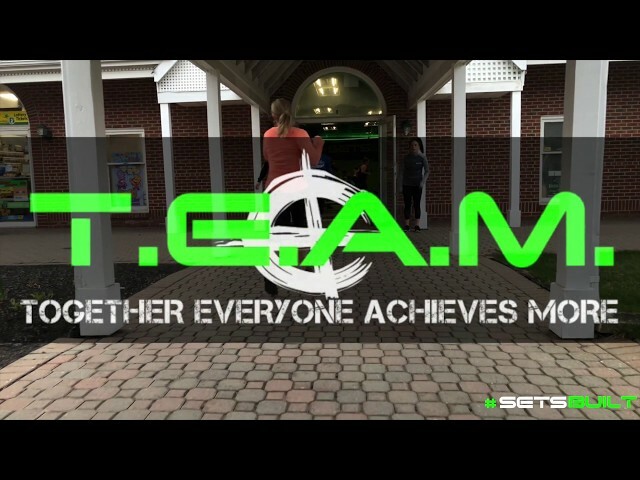 Trainers are “coaches,” and although members are all pursuing individual fitness goals, they support each other along the way with the belief that “Together Everyone Achieves More.” SETS is truly a special place. Our free trial membership gives residents of Ocean, Monmouth and Middlesex Counties the chance to experience it and see for themselves. Or, sign up to take our 21 Day Challenge – 21 days of fitness for $21 and no automatic enrollment into a long-term contract! For more information, call us today at 732-440-3845.